Brooklyn Heights is the most beautiful boring neighborhood in New York City. The moneyed community boxed in clockwise by Old Fulton Street, Court Street, Atlantic Avenue, and the East River is colloquially known as America’s first suburb, and, although lower Manhattan is right across the bridge, and Downtown Brooklyn’s burgeoning business district is a short walk away, it retains a bedroom community feel. Compared to neighboring Cobble Hill and DUMBO, it’s a fun desert. There just aren’t a ton of places to hang out, other than the eponymous Promenade, which appears to be poised to transform into a six-lane highway while the city fixes a stretch of the Brooklyn-Queens Expressway below. Don’t worry though; the project will only take six years to complete after breaking ground in 2020, and they say they’ll rebuild once it’s over. They say a lot of things. 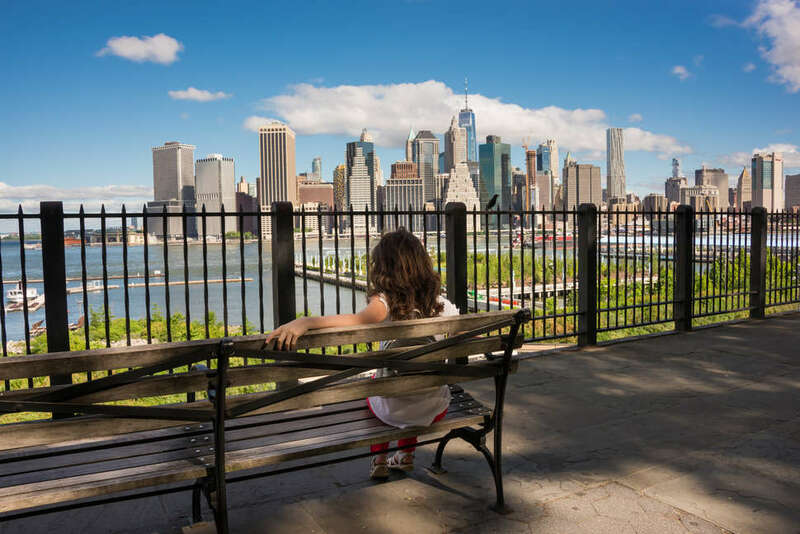 The Brooklyn Heights Promenade is a marvel, and its proposed closure is a shame. Its views are breathtaking from every vantage point, but the best way to experience it is from south to north. Enter at Remsen Street and you’ll see Staten Island, the Statue of Liberty, and Governors Island beyond the East River’s boats and ferries. Helicopters hover on a backdrop of the Manhattan skyline -- One World Trade Center, the Woolworth Building’s green crown, and the Empire State Building all vying for attention. The Brooklyn Bridge grows larger as you advance to the Promenade’s northernmost point at Orange Street, and at the end of your 10-to-15-minute stroll you’ve seen so much of the city with little else to do in the neighborhood. There are a few spots worth stopping by, you just have to know where to find them. This sweet little spot is an antidote to the chains blighting the neighborhood. Plan an early afternoon Promenade visit and stop by Iris for brunch, first. The cozy cafe’s exposed brick walls and pressed tin ceiling feel very of the neighborhood, rather than hashtag-Brooklyn-goals. Linger over egg sandwiches, housemade ricotta, and extra-thick pancakes. Do not go the the Starbucks on Montague Street. Even to use the bathroom -- there will probably be a line -- just make other arrangements. Starbucks isn’t real. Vineapple is real. Its small facade betrays a roomy interior filled with communal tables, passably comfortable couches and chairs, and laptop zombies. It’s a good place to work on your screenplay. Nourish your creativity with coffee and a tasty pastry, or sip an inspiring wine. A trip the the Promenade and a stop at this subterranean sister to the terrific French restaurant Chez Moi has you two-thirds of the way to a perfect day with out-of-town guests. (Grab a slice or a hot dog from any random place and make up a story about its provenance to round out the experience.) 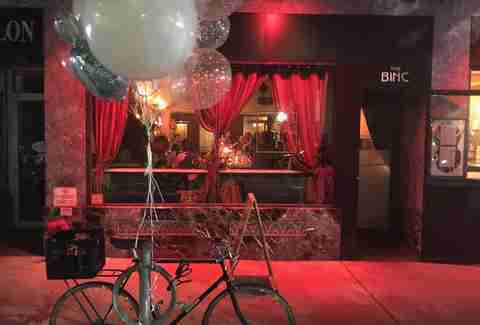 This pseudo-speakeasy is nobody’s local, but its modestly obscured entrance, overthought decor, and convoluted cocktail list are like tourist catnip. Your cousins won’t be able to shut up about this place once they’re back in Appleton. 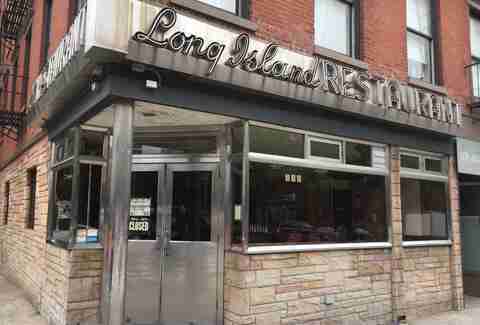 Technically located in Cobble Hill by virtue of its spot on the south side of Atlantic Avenue, Long Island Bar is only about a 10-second walk from Brooklyn Heights proper, and a 10-minute walk from the Promenade. Plan your trip to the strip around sunset for rich, twilight-hour hues that set the skyline aglow. 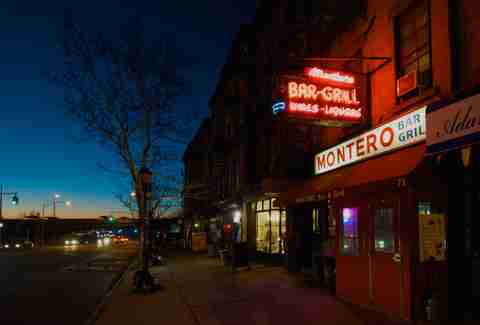 Then, nab a coveted window seat near the bar and order a frothy gimlet (good on the rocks; great served up) and one of the best burgers in the borough. It can be a bit of a challenge to find a satisfying bite for under $10 in a spendy neighborhood like Brooklyn Heights. The Vietnamese sandwiches (in classic paté, ham, and roasted ground pork, shredded white meat chicken, and sardine varieties), hearty, comforting pho, and rice vermicelli salads with pork, chicken, shrimp, or vegetarian protein options all run less than a Hamilton. Don’t be afraid of the crowded tables up front; there’s additional seating upstairs. It’s impossible for a place to be off the beaten path in such a tiny neighborhood, but Noodle Pudding makes the effort (or . . . doesn’t?) by eschewing exterior signage and a website. And that doesn’t stop the crowds from coming for $20 entrées like linguini with clams, pappardelle in oxtail ragu, and spaghetti with, um . . . breadcrumbs. Yes, you’re paying a bit more than you should for pasta, but blame it on the semi-secret venue tax, and the bill of fare’s legitimate deliciousness. 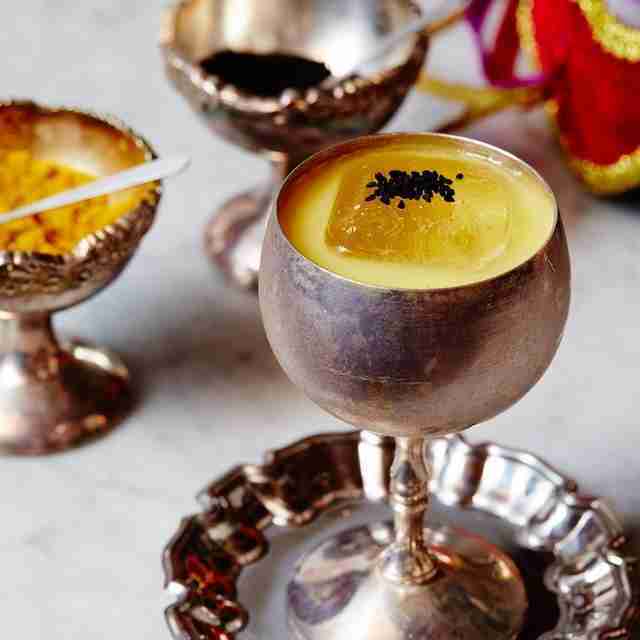 This is another one that will impress your out-of-town (or out-of-borough) guests. 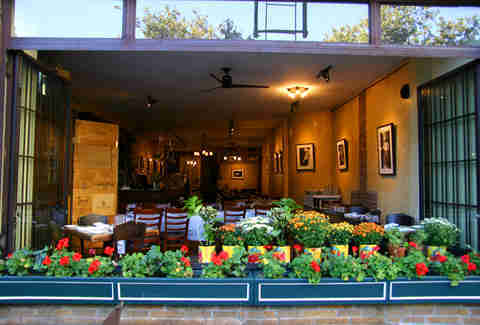 Heights Cafe is your easiest option. You can see the Promenade from the 24-year-old restaurant’s sidewalk tables, the airy dining room is spacious enough that you’ll probably be seated without a reservation, and the New American menu is the platonic ideal of serviceable. It’s got a Cobb salad for your sister-in-law, a Benedict for your bestie, $11 granola for the television actor you’re interviewing for a magazine article, burgers for your bros, and booze for you. We’re all adults here, and nobody needs a distraction from drinking, but you can mask the reasons why every high school/university/clown college reunion, birthday party, Wednesday night, jury duty dismissal celebration, and dental appointment centers in a bar with games of bocce at Floyd. You may need a little patience for your chance on the free court on busy weekend nights, but you can while the wait away over beer and shot combos in the generously sized space. Brooklyn Heights needed this attractive late night cocktail bar when it opened in 2016. Its happy hour lasts till 7:30pm daily and includes solid libations like the Manhattan, daiquiri, and corpse reviver #2 for $8. Pair ‘em with charcuterie and cheese boards, or little snacks like roasted Marcona almonds, pickles, and marinated olives. There is no grill. It would be unseemly to visit outside of karaoke nights. And if you’re here late enough, after Atlantic Avenue’s modest restaurant row has shuttered for the evening, you won’t find so much as a slice unless you march all the way back to Court Street -- which feels like a long haul after you’ve been belting tunes and knocking back plastic cups of vodka sodas all night. But this decades-old Longshoreman’s bar has rare character, and it would be a crime not to visit when you’re in the area. Take a jaunt down the Promenade, then set your dinner time by the karaoke crowds: Eat a little early to guarantee you’ll get a few songs in, or arrange to arrive after about 10pm to compete with Broadway ringers.